Rhino 새소식, etc. : 로봇과 술. 그 다음은? 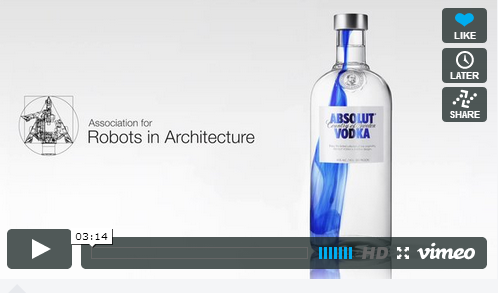 Sigrid Brell-Cokcan과 Robots in Architecture 팀이 또 이뤄낸 흥미로운 Rhino, Grasshopper, 로봇의 조합을 감상하세요.